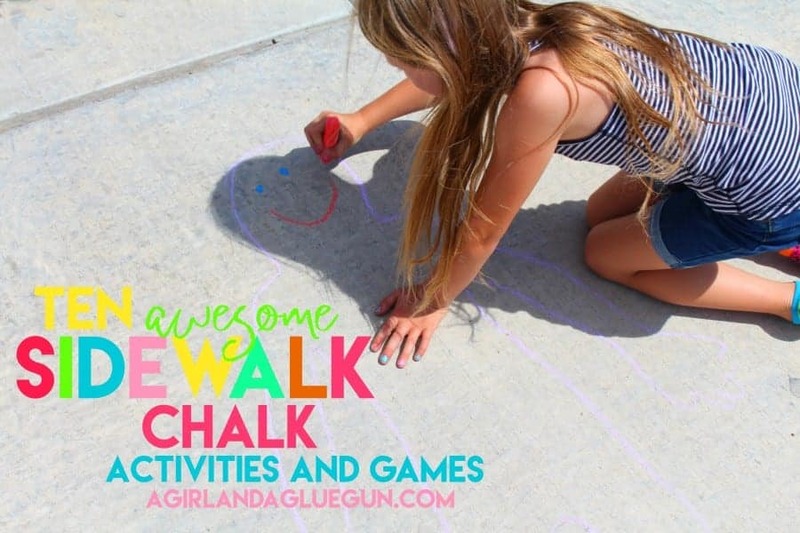 15 awesome games and activities to do with sidewalk chalk! 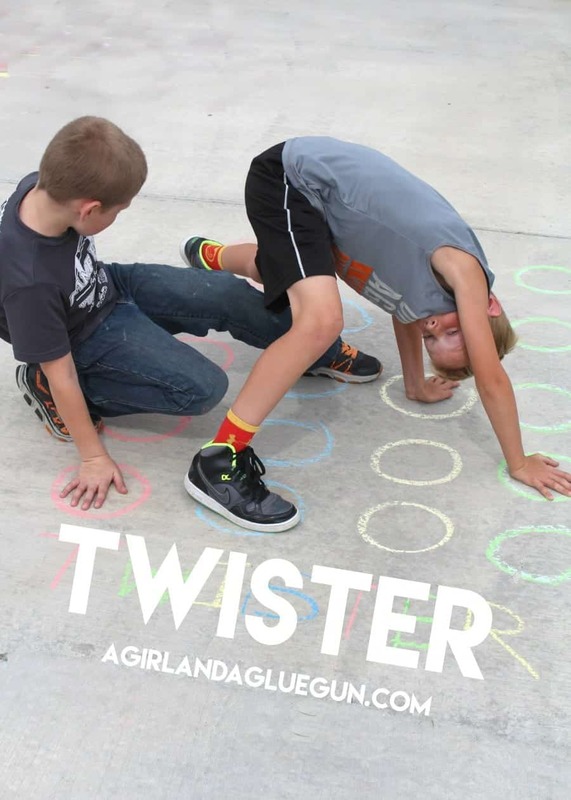 Make sure to leave me a comment if you have a fun game you play! 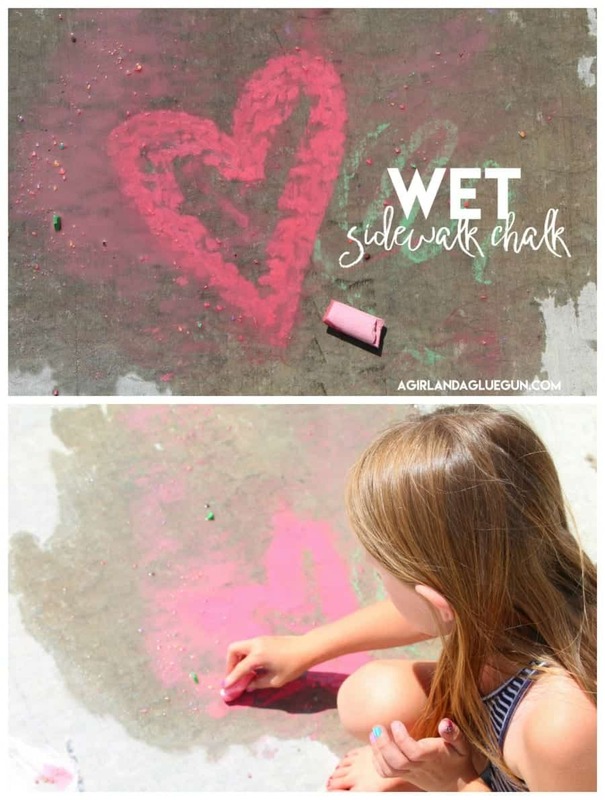 Trace around and let kids decorate! 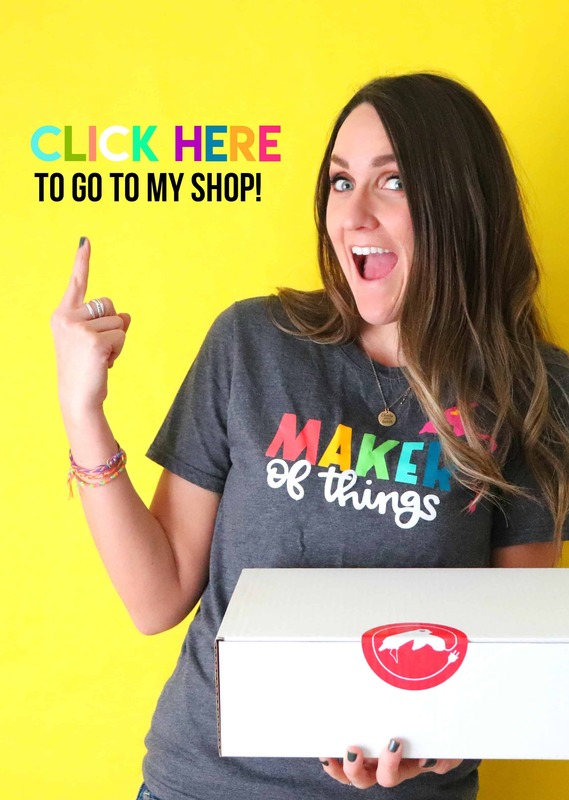 Add clothes, jewelry, accessories, etc! 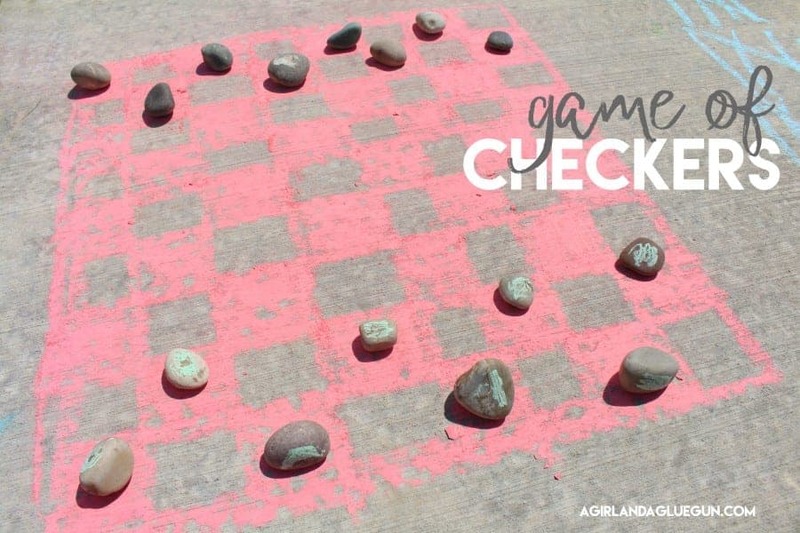 Checkers is such a fun game–even funner when you are outside playing on the sidewalk. 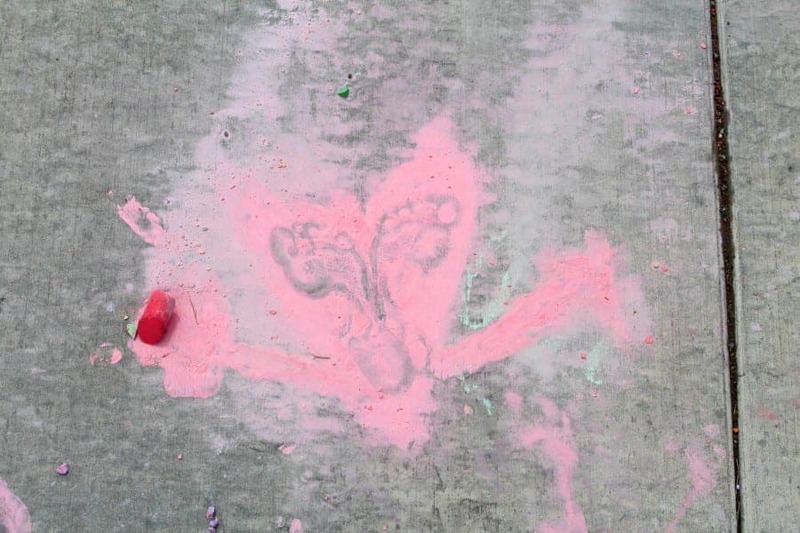 I marked half the rocks with sidewalk chalk so we knew who’s was who’s. 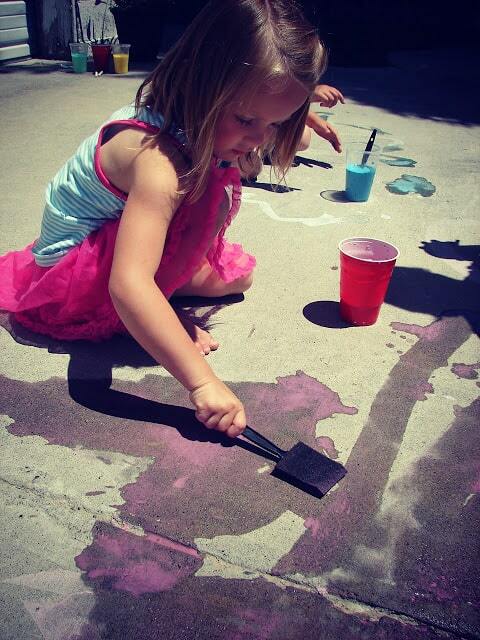 AND then we kept another color to mark KINGS! This can be done two ways! 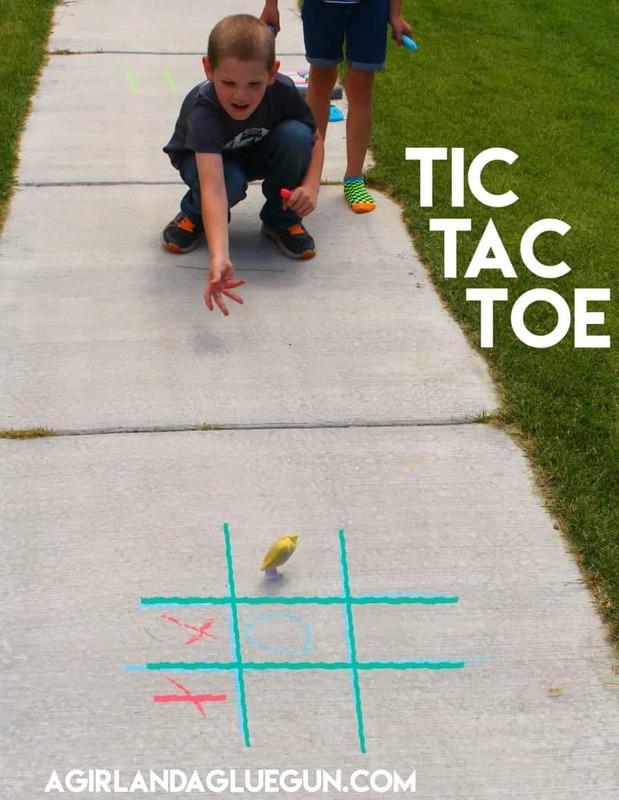 Throw a rock or bean bag onto the tic tac toe board and where it lands is where you draw your x (or o) First one that gets three in a row wins! 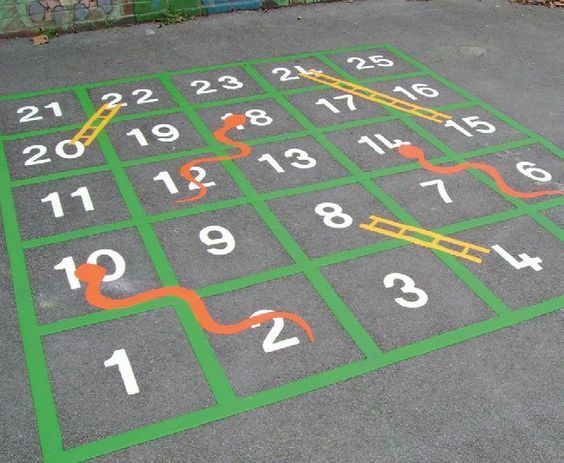 OR you can do the race game. 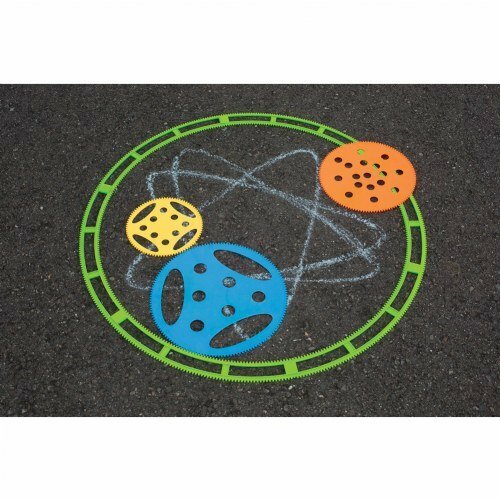 Each team has one chalk. 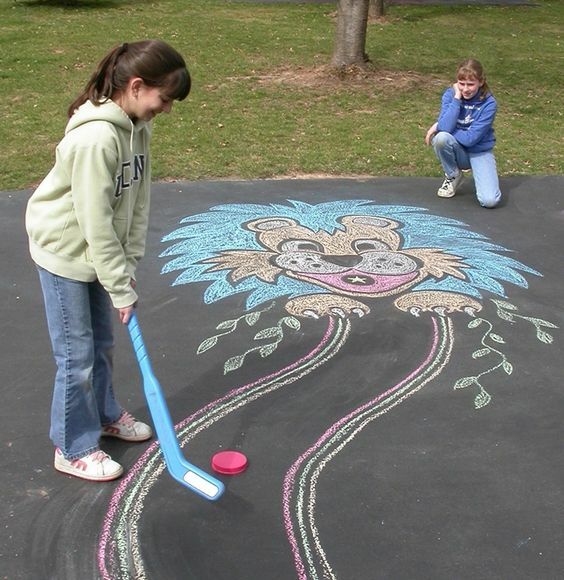 The first players have to run down and mark a spot, run back and hand the chalk off–the next person does the same! 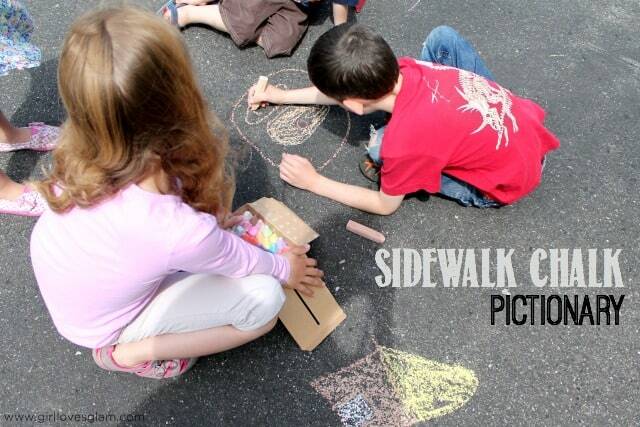 Grab some measuring tape and mark feet (up to 12!) 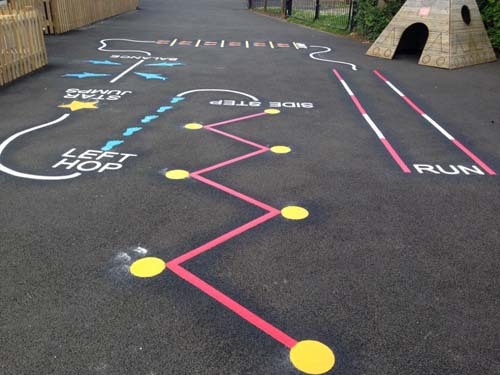 You can jump from a line…or do a running jump. It’s fun to see the difference. My son jumped around 5 feet from the line…about 10 feet with a running start! 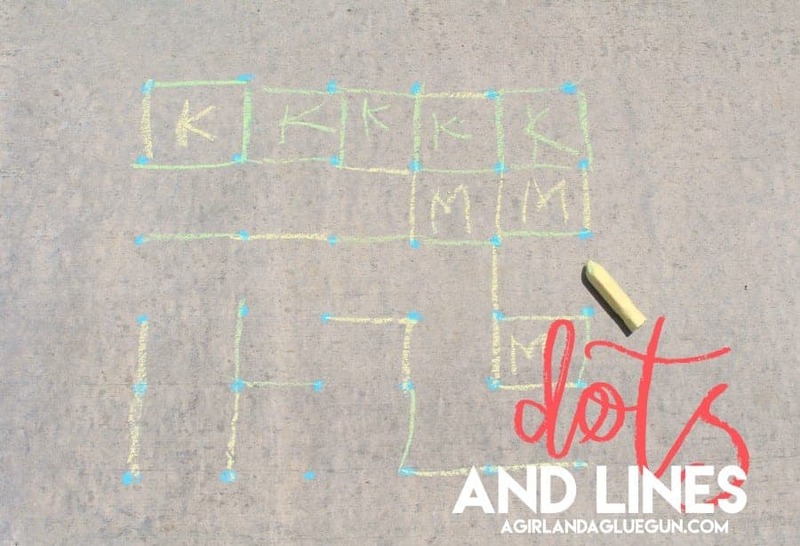 Here is how you play dots and lines game: Starting with an empty grid of dots, two players take turns adding a single horizontal or vertical line between two unjoined adjacent dots. The player who completes the fourth side of a 1×1 box earns one point and takes another turn. (A point is typically recorded by placing a mark that identifies the player in the box, such as an initial). 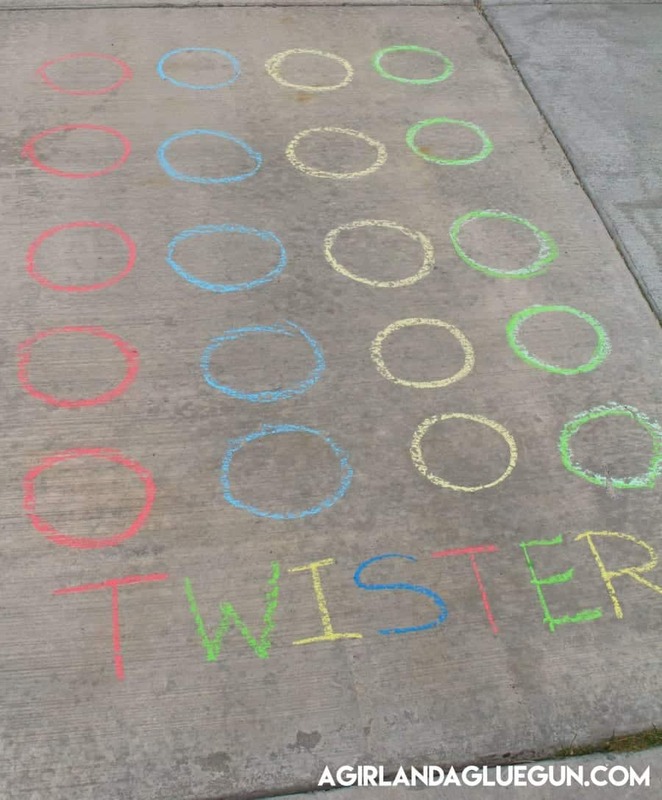 The game ends when no more lines can be placed. The winner is the player with the most points. 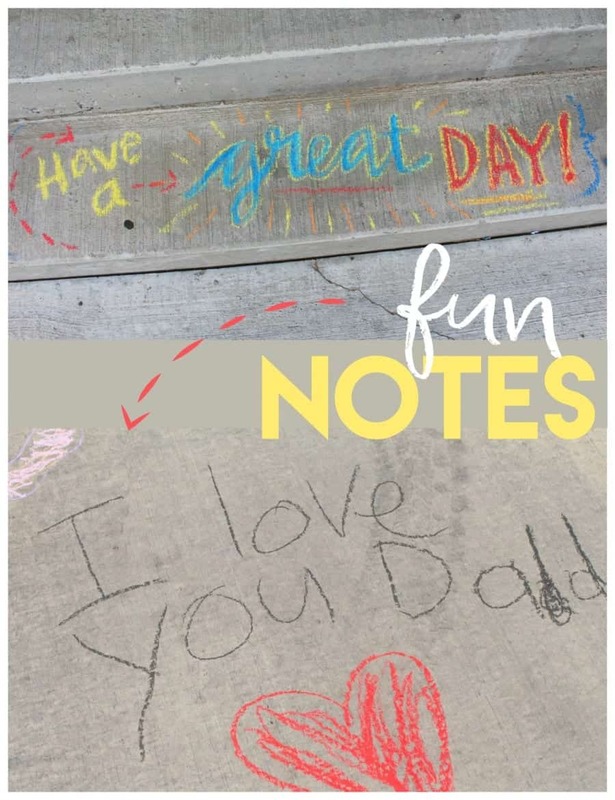 sneak over to a friends or neighbors and leave some happy messages to brighten their day! (for lack of better word!) 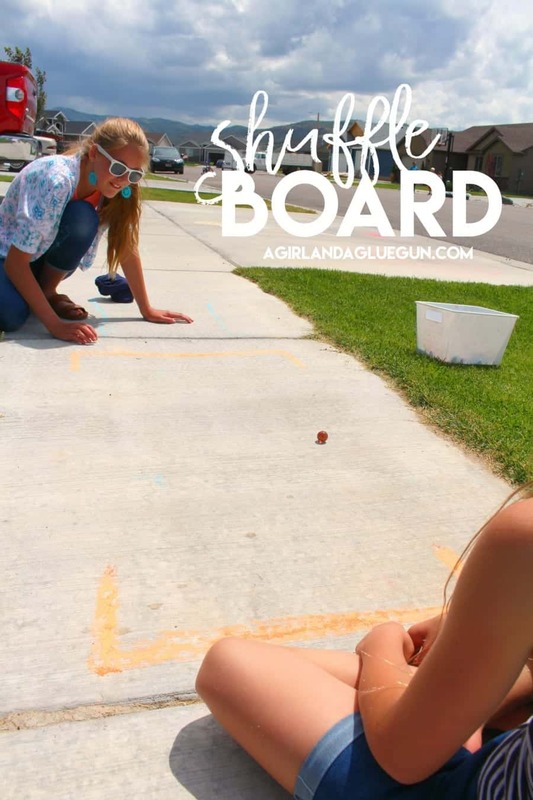 It’s definetly our twist on shuffleboard….we drew a goal for each side and rolled a marble (Best to do on level sidewalk) If the marble rolled through the goal we got one point. 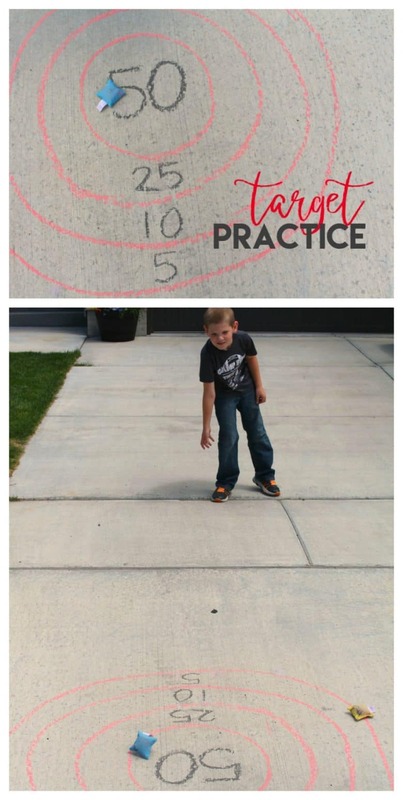 If the marble stopped IN the goal you got 5 points! 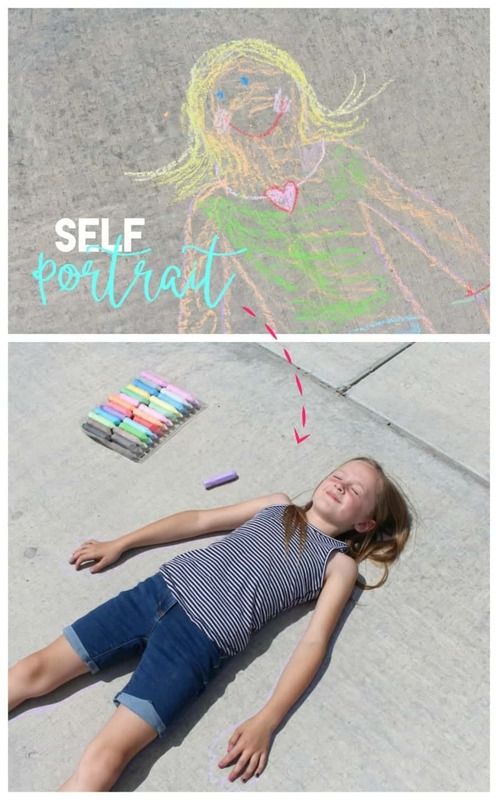 My daughter is the queen of these! She’s always makes the coolest ones! 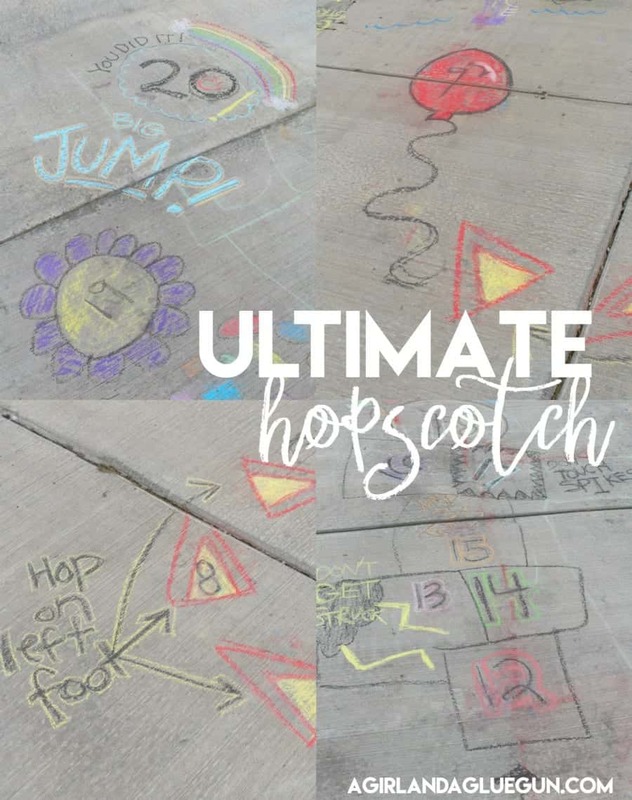 She whipped up this fun one that included snakes and balloons and all sorts of fun stuff!